Meditation entails discipline and diligence. Before you begin your meditation journey, it is very important to gain knowledge about the nuances of meditation, one of which is hand positions to use during meditation. 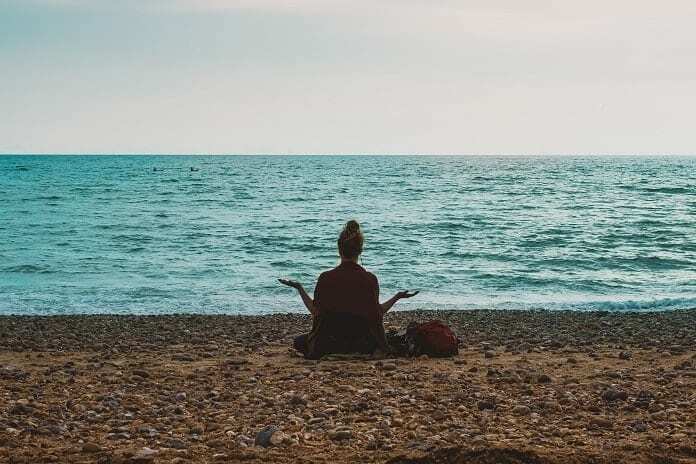 While it’s true that you need to decide on a position for meditation which is comfortable for you, it is also important to know about the recommended meditation hand positions for your meditation journey. Meditation postures and hand positions or hand mudras play an important role in your meditation journey. These hand positions channel the flow of energy in your body during meditation and fulfill specific goals of meditation. According to the saints of yore, our body is comprised of five elements, which are, air, space, water, fire, and earth (or soil). Each of our hands has power to release energy from these sources and so it is necessary to position our hands during meditation to manipulate these elements. Along with the connecting principles that take place during hand gestures, freeing actions also occur, which lead to liberation. This is one of the most well-known hand positions for the meditation journey, which many people use as a psychic gesture of knowledge and wisdom. Gyan mudra is for planet Jupiter. Gyan mudra is the simplest of all the hand positions. • Relax your body and sit straight. • Put both your hands in front of your knees. • Join your forefinger and thumb’s tip. • Ensure that there is skin-to-skin contact between thumb and forefinger. There should be no contact with fingernails. • Now, keep the fingers straight and in relaxed position. • Gyan mudra is a hand position which boosts concentration in meditation and helps you to find inner peace. • The mudra helps in stimulating the brain and boosts blood flow. This helps in solving memory problems. This mudra is a must for people suffering from Alzheimer’s disease, problems with the nervous system and mind coordination. • Diseases like Hypothyroidism, Hypoparathyrodism, Hypoadrenalism and others can be treated by performing the Gyan mudra hand position. This hand position for meditation also cures muscular problem like myopathies, myasthenia gravis, paralysis, etc. • Using the Gyan mudra hand position in your meditation journey boosts the air elements thereby helping to cure respiratory issues. This mudra, in which the middle finger represents courage and responsibility, instills patience within us. The thumb in Shuni Mudra represents fire and divine nature. When the two fingers are joined, it boosts discernment, focus and discipline. It is a recommended hand position during meditation for concentration and clarity. • Sit straight in your meditation position. • Touch your middle finger with the tip of thumb. • Keep all other fingers straight while you meditate. • It instills compassion and understanding towards other people. • The Shuni Mudra hand position helps to develop noble thoughts and removes all negative emotions. • This hand position for your meditation journey can help you live in the moment, rather than worrying about past and present. This hand mudra is an emblem of life and sun. Surya Ravi mudra symbolizes energy, balance, earth and vitality. • Sit in your meditation position. • Bend your ring finger to the base of your thumb. • Your thumb should touch the ring finger’s knuckle. • Stretch your other three fingers. • Do not give stress to fingers. Keep them in comfortable position. • It influences flow of energy throughout the body. • The Surya Ravi mudra hand position for meditation stimulates the nervous system and improves digestion. • This hand position boosts metabolism. • It leads to a positive transformation as it instills positive energy in your body. Buddhi Mudra is a hand position technique that balances the water element in the body and helps improve mental clarity. • Sit in a comfortable posture with your body straight. • Join your pinky finger with your thumb. • Ensure skin-to-skin contact of finger and thumb. • There should be no stress on your fingers. • This hand position in meditation helps you understand intuitive messages from your subconscious. • Once you start performing meditation in this hand position, you will find improvement in communication. • Many times our brain goes through dysfunctional thought processes.The Buddhi mudra hand position for meditation improves the chain of thoughts. Prana Mudra is practiced in meditation to activate dormant energy in the body. Our personality has many aspects which remain undiscovered. However, the Prana mudra hand position makes them come to the fore. • Sit straight and get comfortable in your posture. • Stick your ring and pinky fingers to your thumb. • The other two fingers should be straight. • This hand position for meditation eliminates a deficiency of Vitamins A, B, C, D, E and K.
• The Prana mudra hand position helps in regularizing your schedule and ameliorates eating and sleeping disorders. • It reduces nervousness and anxiety, thereby improving self-confidence. • Prana mudra helps in fighting against chronic fatigue, depression and mental tension, thereby infusing us with happiness and joy. • This hand position in meditation also enhances your immunity. Dhyana mudra is an emblem of chalice or bowl. The bowl represents a lower energetic storage center and entire sexual energy is transmitted through this hand position. Dhyana mudra has a strong effect on sacral chakra, which is supposed to be the first one to collapse. • After sitting, put your hands together in your lap. • Left hand must lie on the right hand and the thumbs should touch. • Shape the two hands in a bowl shape. • Let the void between two hands get filled by new energy. • It keeps the mind cool by eliminating anger and unnecessary stress that causes irritation. • Dhyana Mudra imparts a clean and renewable emotional energy by healing past painful experiences. • This hand position enables you to stay in the present as you stop thinking about the future. • On a spiritual level, it awakens the wisdom within us and brings us close to our spiritual self. The Ganesha mudra is a hand position for meditation, which is intended to conquer all sorts of troubles, bestows you with strength to overcome everything. • Sit straight on your chair or meditation mat, wherever you are comfortable. • Your both hands should be opposite to your chest and your elbows should be bent. • The left hand’s palm should face outwards and the thumb should be towards your solar plexus. Your other fingers are inclined towards your collar bone. • Make a claw by holding four fingers of your left hand with your right hand. • Ganesha mudra aids muscles of the shoulders, chest and arms. • This hand position for meditation instills courage. • It induces well-being of your heart by supporting cardiac muscles and introducing better blood circulation. • The Ganesha hand position helps in fighting cholesterol problems. The Vayu mudra hand position is associated with a healthy lifestyle. This mudra takes care of the air elements in your body by controlling the movement of air inside the body. • First of all, be very comfortable in your posture. Choose any posture you like. • Place tip of the index finger at the base of the thumb. • Gently pressurize the thumb upon the finger. This will induse separation of element of air from the element of fire. • Press your index finger on the base of your thumb. You may feel pain, but it is short-lived. This mudra is to control gastrological issues. • Place the tip of your ring finger on the base of your thumb and apply gentle pressure. This will help in weight loss. • Join index finger to tip of thumb. It will bring about awakening. • Join the nail of your index finger with the inside of your thumb and press the finger with thumb. It will relieve stiffness in your neck. • It reduces extra air from stomach and body. • Relieves you from chest pains. • Builds immunity against cough and cold. • The Vayu Mudra reduces the chances of paralysis. Apana mudra is associated with organs and their physiology. It is the easiest hand position that you can practice for meditation. • Bring your ring and middle finger together and bend them to touch your thumb. • The little and index fingers should be pointed straight. • Now relax your fingers and sustain this hand position for 15 to 30 minutes. • This mudra is helpful for small and large intestine, which helps avoid constipation issues. • The Apana hand position increases oxygen content in the blood, which eliminates breathing problems. • It enhances the earth elements, which strengthens heart muscles. Rudra mudra is intended to govern and activate the Solar Plexus Chakra. It is a hand position in meditation which has healing power and energizing qualities. • Sit comfortably with your back straight. Your chin and chest should be high. • Raise your hand and join the tips of each index finger, thumb and ring finger. • Extend out the middle and pinky finger and sustain this posture for five minutes and preferably ten times a day. • This hand position helps in instiling clarity of thoughts and equanimity. • It eases the tension and relieves stress. • The Rudra mudra has a therapeutic effect towards low blood pressure issues. • It also improves eye sight. Given that you now know the position of fingers in meditation for all the mudras or hand positions, it is also important for you to know the meaning of all the fingers in the context of meditation. • Thumb – It represents the earth element and the planet Saturn. The thumb corresponds to the stomach, spleen and mouth, and is connected with intellectuality. • Index finger – It represents the wood element and is symbol for Jupiter. It corresponds to liver, gall bladder and eyes. The index finger influences our sensitivity. • Middle finger – It is symbolic of Mars and represents the fire element, and is associated with the tongue, small intestine and heart. The middle finger influences creativity. • Ring finger – It represents the metal element in our body and is the symbol of Venus. The ring finger corresponds to the lungs, large intestine and nose. • Little finger – The little finger represents the water element in our body. It corresponds to the kidney, bladder and ears. The energy of little finger influences spontaneity. Meditation is not only for your mind. If you practice meditation with discipline, then it will benefit your mind, body and soul. Meditation Hand positions are very important for your meditation journey. All the fingers and thumbs of your hands emit different energies which are important for your overall health – mental and physical. So, it is important that you practice meditation with different hand positions in your meditation journey to leverage this powerful discipline to the best of your advantage.